Boeing Co. lost out on a $2.3 billion deal with Dubai Aerospace Enterprise Ltd., for 32 of its 737 jets which are priced between $56.9 million and $85.8 million, according to Bloomberg. Dubai Aerospace, an aviation corporation that leases planes, already has a backlog of 35 737s and a demand drop, led them to scrap the order. Boeing has gained 10 new orders for its 737 from unidentified customers and announced an order of eight Next-Generation 737-800s for Comair Limited’s low-fare airline fleet, kulula.com. Despite new deals signed, Boeing has run into a slew of problems in recent months. 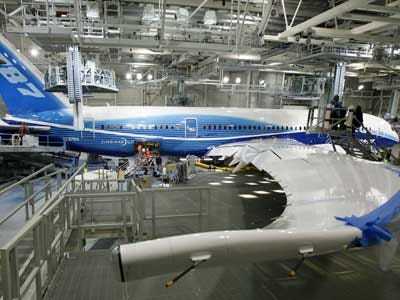 Its Dreamliner is roughly three years behind schedule after the company had struggled with serious bottlenecks that included a shortage of parts and manufacturing defects. To add to their burden, the delays in production have cost the company in two big ways. Boeing had to pay penalties to airlines that expected the flights to open up new flight routes, but it also lost business to Airbus, according to Bloomberg. In fact, Boeing’s shares gained a paltry 12% over the last 12 months, compared to 42% by Airbus’ parent company, European Aeronautic Defence and Space Co. Though the company secured a few deals recently it’s been tightening its budget. In January the company laid off 1000 workers in Southern California and another 200 in Georgia. In October last year, it announced that it would ask 90,000 of its non-union employees to pay more for healthcare in 2011.